The story of the beginning of the Mercedes G-Wagen (also known as the G-Wagon and the G-Class) brings together one of the world’s greatest makers of automobiles, with one of the world’s greatest makers of classic sporting rifles, and blends with some input from the Shah of Iran, whose brother Prince Abdorreza was one of the more well known and respected big game hunters, and who was friends with some of the most famous names in the shooting sports including American hunters and writers Jack O’Connor and Elgin Gates. This background is likely to be no better known to owners of Mercedes-Benz G-Wagens than for motorcycle enthusiasts to know that BSA motorcycles were made by the Birmingham Small Arms Company, who made military and sporting rifles before they branched out into motorbikes, and whose rifles can be seen for example if you watch the movie “Zulu”. But getting back to the beginning of our story, things began moving when in the early 1970’s the Shah of Iran, Mohammad Reza Pahlavi, who was a significant Mercedes share holder, suggested to executives of Mercedes-Benz that it could be a good idea if they designed and manufactured a four wheel drive which, like the British Land Rover, could be used by both military and civilian customers. Mercedes-Benz were interested and after doing some feasibility study determined that it would be a viable project. Not only that but it was quite likely that Mercedes-Benz could make a better four wheel drive than the British Land Rover, the Japanese Toyota Land Cruiser, and the American Jeep. Mercedes-Benz decided that they wanted to take charge of design and development of the new vehicle but that they preferred to have someone else set up to manufacture some components and do the final assembly. 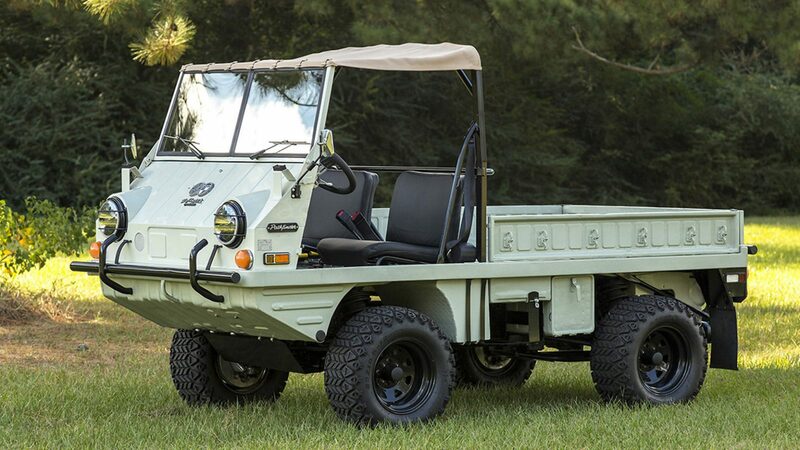 Because this was to be a vehicle that would have a significant impact on Mercedes-Benz reputation because of its demanding military and civilian uses, Mercedes looked for a company who they could trust to make a top shelf product, and they turned to Austrian manufacturer Steyr-Daimler-Puch. Although largely unheard of outside Austria, Steyr-Daimler-Puch were makers of quality industrial goods from mopeds to small arms to railroad locomotives. Internationally perhaps Steyr’s most famous product in the 1960’s and 1970’s was their legendary Mannlicher-Schönauer sporting rifle which featured a bolt-action so well designed and engineered that if the rifle was angled muzzle down the bolt would literally fall forward and close all by itself. Arrangements were made between Mercedes-Benz and Steyr-Daimler-Puch for manufacture of the new Mercedes four-wheel-drive and to this end a joint company was set up called Geländefahrzeug-Gesellschaft mbH, with Mercedes-Benz and Steyr-Daimler-Puch each holding 50% of the shares. The main designer of the G-Wagen was Erich Ledwinka whose father, Hans Ledwinka had previously worked both for Steyr and Czechoslovakian vehicle maker Tatra. Hans Ledwinka was famous as the inventor of the backbone chassis and his development of the concept of the rear-mounted air-cooled boxer engine which featured on the Tatra V570 created by he and Paul Jaray. This was the car that inspired the development of the original Volkswagen Beetle, and from there the Porsche 356. Erich Ledwinka was famous in his own right as the designer of the Puch Haflinger and Pinzgauer. 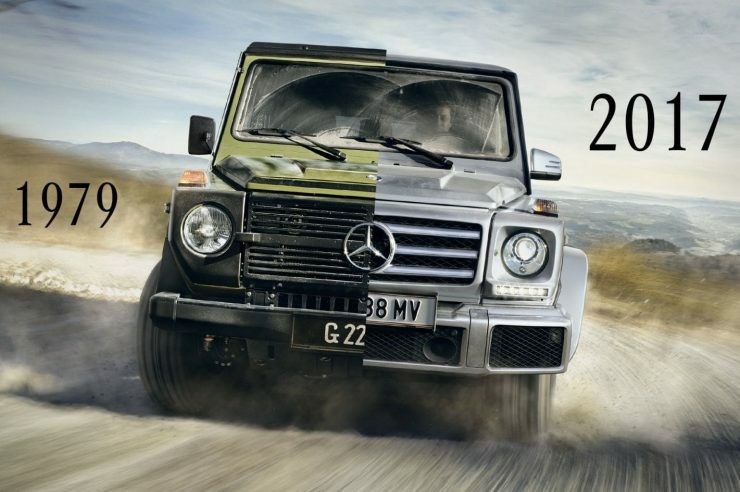 With this in mind the original project name for the G-Wagen was the “H2” which stood for “Haflinger 2”. By 1973 the initial concept complete with wooden model was shown to Daimler-Benz management with the first driveable prototype powered by a 2.3 liter gasoline engine being completed in September 1974 with testing being commenced the following year. Testing needed to be done in all extremes of climate and natural conditions so test vehicles were put through their paces in the extreme heat and grit of the Sahara Desert, the ice and extreme cold of the Arctic Circle, and the dust and mud of the German coalfields. This sort of thorough testing would pay dividends later when production G-Wagens would be used in those sorts of places and would stand up to the conditions flawlessly with perhaps one exception, that being for a group of G-Wagens that were taken on a journey along the famous Canning Stock Route of inland north Western Australia in 2011. Five of the six G-Wagens suffered shock-absorber failure on that journey through what local people describe as “perish country”. In 1975, while the testing was progressing well Steyr-Daimler-Puch began construction of a new manufacturing facility in Graz, Austria, where the new G-Wagen would be made. 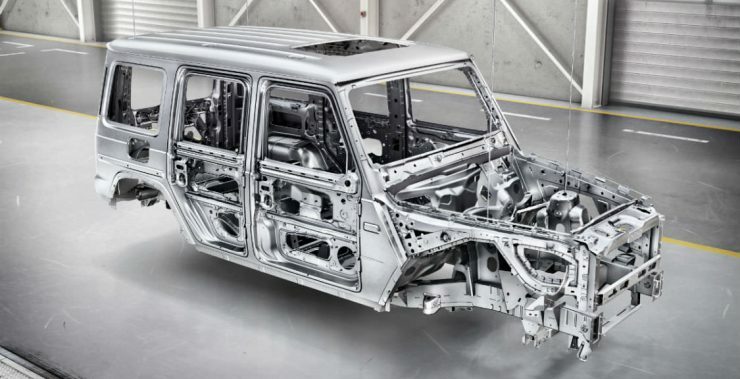 Interestingly the construction of the new G-Wagen was to be mostly done by hand, as it was for the British Land Rover. It was during 1975 that the Shah of Iran put in a pre-order for 20,000 of the new G-Wagen for the Iranian armed forces. 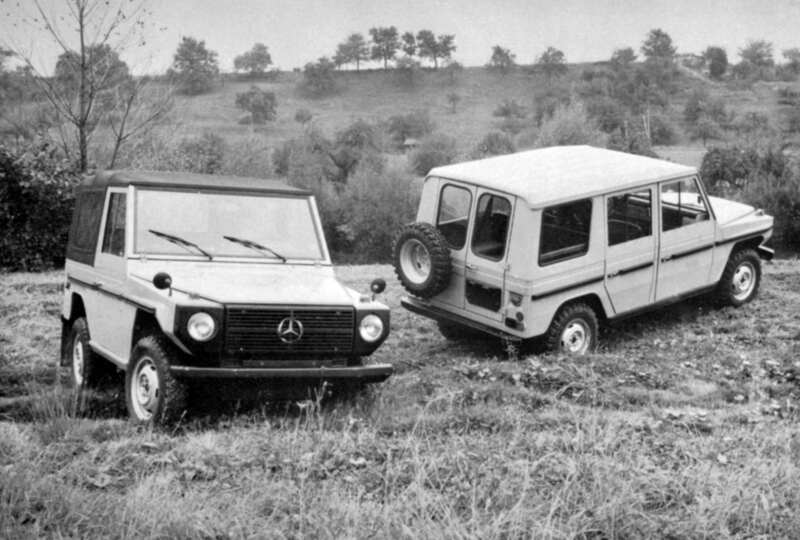 The new Mercedes-Benz four-wheel-drive was called the “G-Wagen”, with the “G” standing for “Geländewagen” (which translates as “off-road vehicle” or “land wagon”, much like Rover’s “Land Rover”). In Austria, Switzerland and Eastern European markets the vehicle was called the “Puch G” reflecting the name of the company that did the final assembly. 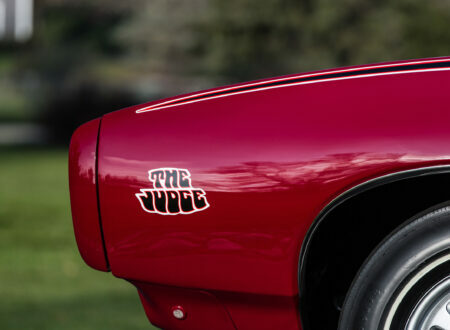 The car made its debut in February of 1979 and entered production shortly after. 1979 was also the year of the Islamic Revolution in Iran that brought an end to the Shah’s monarchy. Suffice to say that the G-Wagens that the Shah would have purchased for the Iranian Army were not. 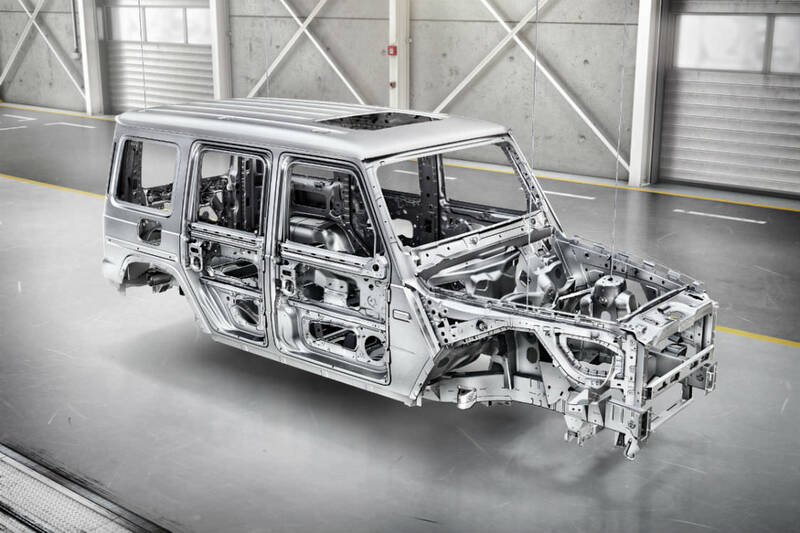 But the G-Wagen itself already possessed features and construction second to none that would lead it to being purchased by military and civilians alike. 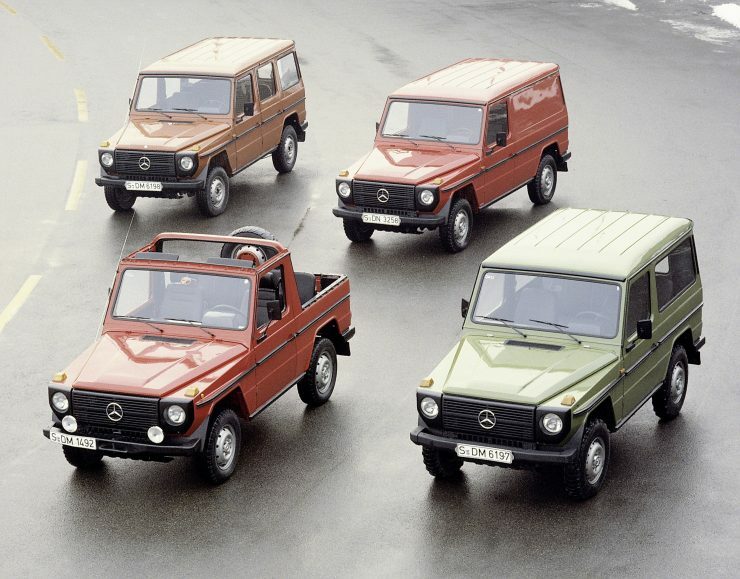 The manufacture of the G-Wagen was divided between Steyr-Daimler-Puch and Mercedes-Benz. Daimler-Benz supplied the engines, transmissions, axles and steering components and some of the larger metal pressings. Steyr-Daimler-Puch made the smaller metal pressings, the transfer case, and other components, and did the final assembly of the vehicles. 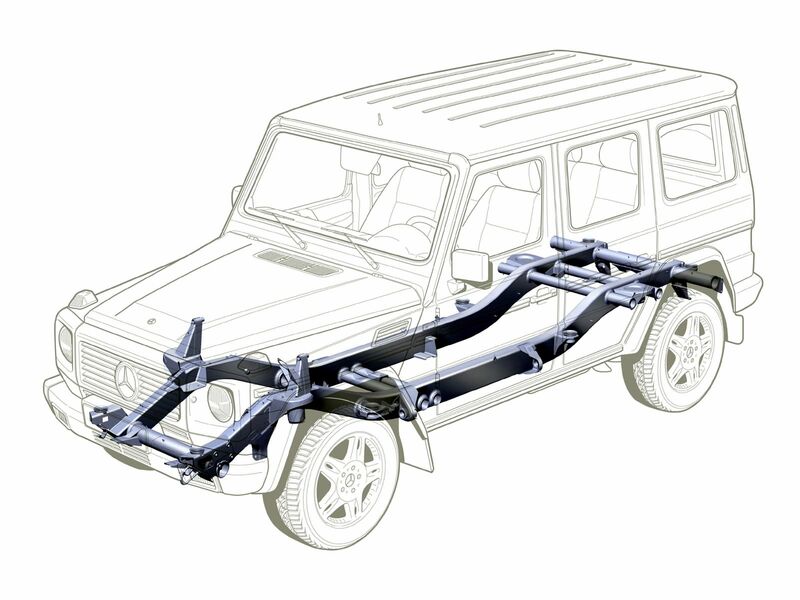 The G-Wagen was based on a conventional box frame chassis with enclosed side members and cross-members. The pressed steel bodywork being bolted to it. 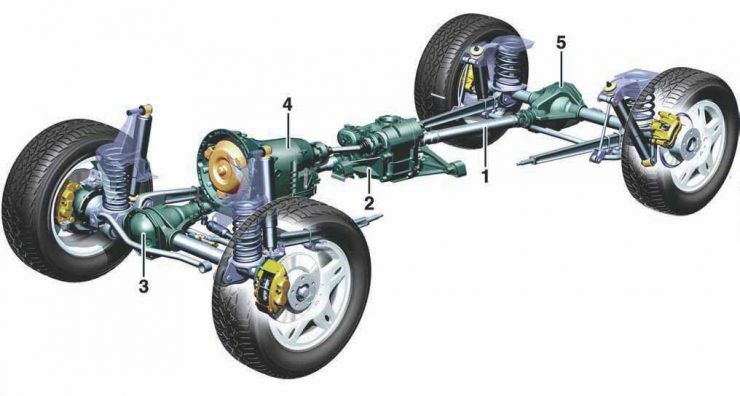 The axles were beam axles much like the Land Rover and Toyota Land Cruiser, this ensuring more durability than an independent suspension could, in part because of the more simple construction and because the moving parts were mostly contained inside the axle. 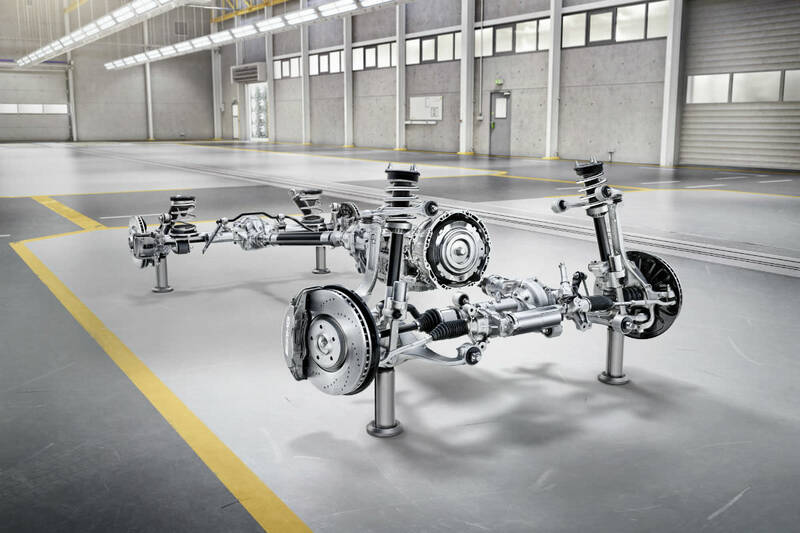 These live axles were fitted with disc brakes and mounted on trailing arm coil spring suspension with transverse links and telescopic shock-absorbers. The design featured three differentials with the rear and front differentials being locking units. Later models provided other options including a locking center differential also. This provided constant four-wheel-drive and the vehicle was also equipped with high and low range which could be engaged while on the move. The gearbox on these first models was a manual all synchromesh four speed. 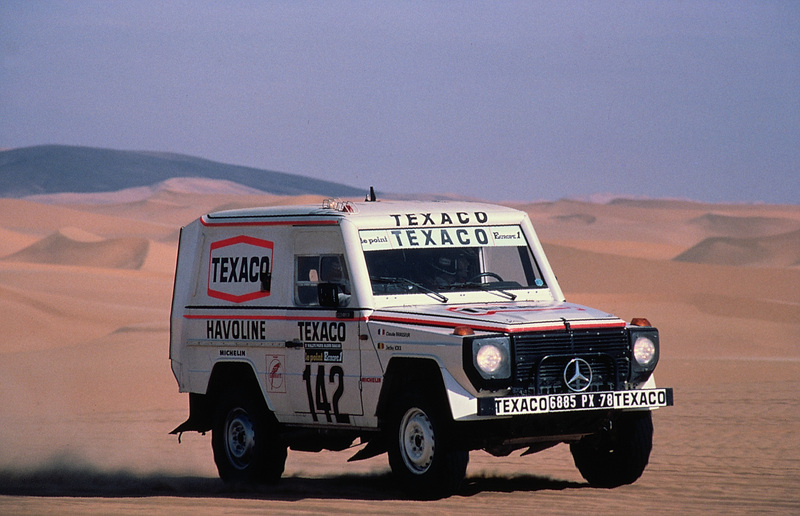 The 1979 G-Wagen 460 models were offered with a range of engine options; The 230G was powered by an in-line four cylinder gasoline engine providing either 90hp or 102hp, the 240GD was fitted with a four cylinder diesel producing 72hp, and the 300GD was fitted with a five cylinder 80hp diesel engine. In 1980 the 280GE model was introduced which was fitted with a six cylinder fuel injected gasoline engine producing a rather respectable 150hp in its low-compression ratio version. 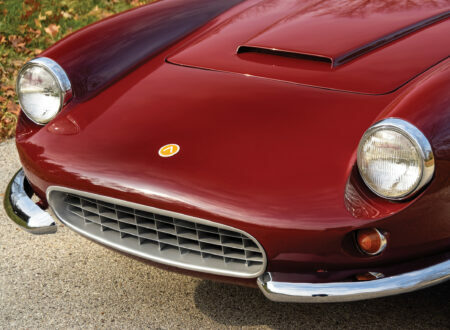 The 300 GD and 280 GE were made with power-steering as standard equipment. The G-Wagen was made in both short and long wheelbase versions and closed station wagon The short wheelbase was also available as an open vehicle with a folding windscreen. Military buyers were able to purchase the G-Wagen as a convertible in both long and short wheelbase models. In November of 1980 the long and short wheelbase models were also offered with a box body to provide a cargo carrying van. 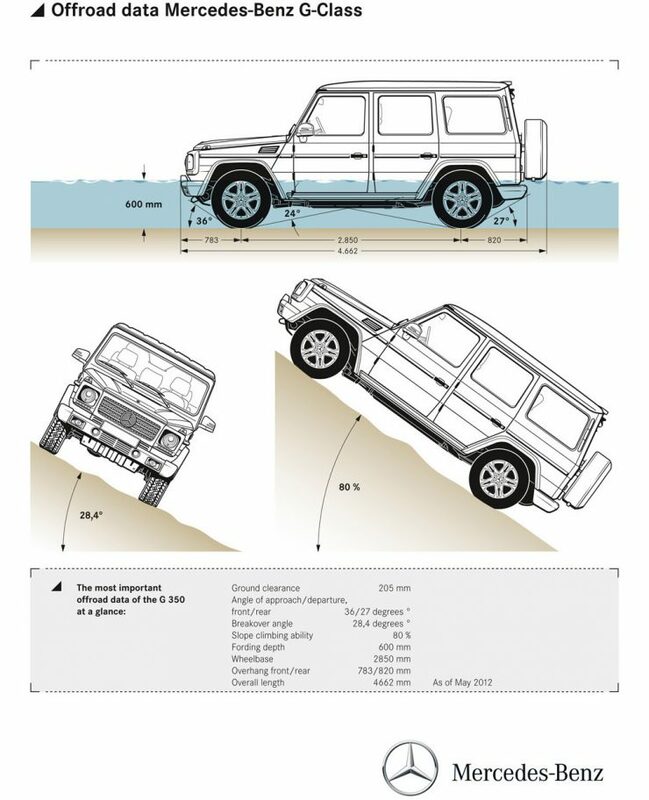 The G-Wagen had a climbing ability of up to 80% and a tilt angle up to 54%. Ground clearance was 8.3″/21cm and the vehicle had an approach angle of 36º and a departure angle of 27º. The kerb weight varied from 3,814 lbs/1,730 kgs to 4,319 lbs/1,959 kgs with vehicle load capacity of 1,444 lbs/655 kgs to 2,028 lbs/920 kgs. In addition to this the roof was designed to carry 440 lbs/200 kgs if desired. 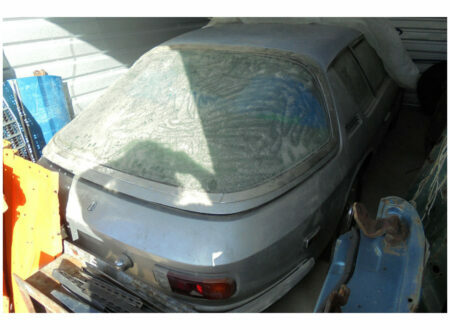 Optional extras included such things as power steering and a lockable glove box. At the end of 1980 the G-Wagen was given a model upgrade and this gave rise to some useful additional options including a front cable winch, power-take-off, a tropical roof (i.e. 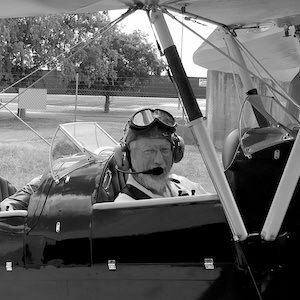 a double roof to provide protection from the sun’s heat to keep the cabin cooler), additional 30 liter fuel tanks mounted in the rear wings, headlight protective grills, and a washer-wiper for the rear window of station wagons and vans. Also available as an option was a rifle rack for those who would like to take their Steyr Mannlicher-Schönauer or other sporting rifle out hunting. The 280GE and 300GD were also available with a four speed automatic transmission. 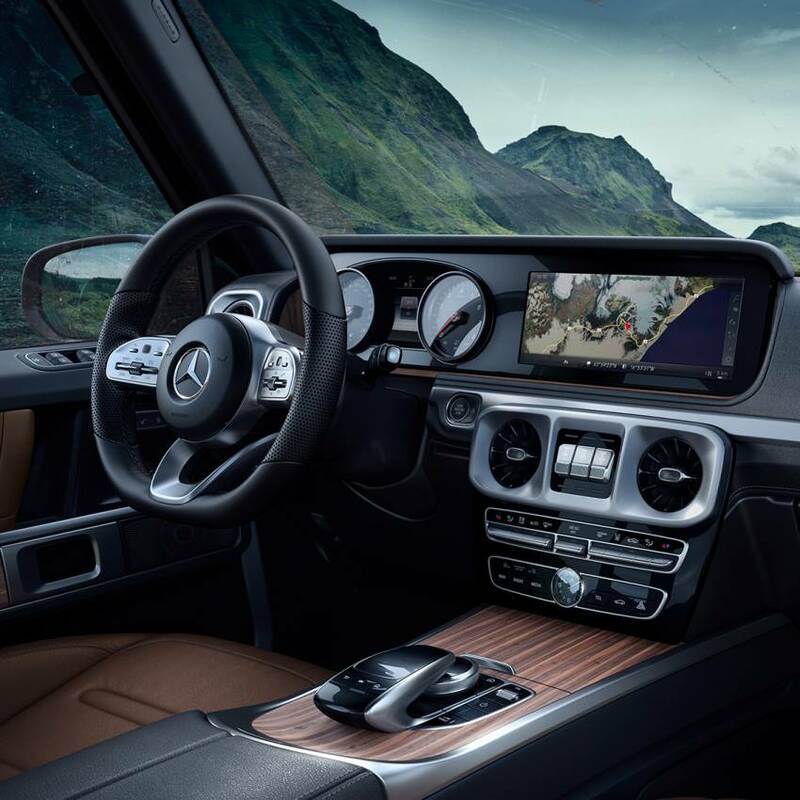 These additional options added a great range of practical features to the G-Wagen and expanded its potential customer base significantly. In 1981 there were some model changes, most notably the change-over to a single rear door for all closed models with the two-piece rear door becoming an option. 1982 saw the 230G being replaced by the 230GE in most markets with the 230G being fully phased out by 1986. The 230GE was powered by a fuel injected gasoline engine producing 125hp and in 1986 this was upgraded to 155hp before being dropped back to 150hp to enable the use of the unleaded fuel that was becoming increasingly common before it was made mandatory in many markets. The 230GE was to make its mark in motorsport with a second place for Jacky Ickx and Claude Brasseur in the Paris-Dakar Rally of 1982 with Jean-Pierre Jaussaud in third, and an outright victory in 1983. 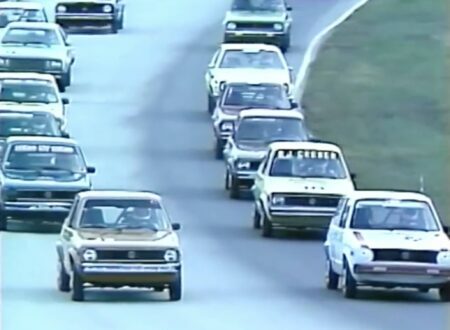 The victory for Ickx and Brasseur was accomplished in a 230GE that was somewhat tweaked by comparison with the showroom models. It had been lightened by use of aluminum alloy parts where possible and had also had its body refined by wind-tunnel testing. Not only that but the car was fitted with a 220hp engine giving it a respectable level of grunt. In 1991 the original Series 460 model range was phased out and was replaced by the Series 461 range. 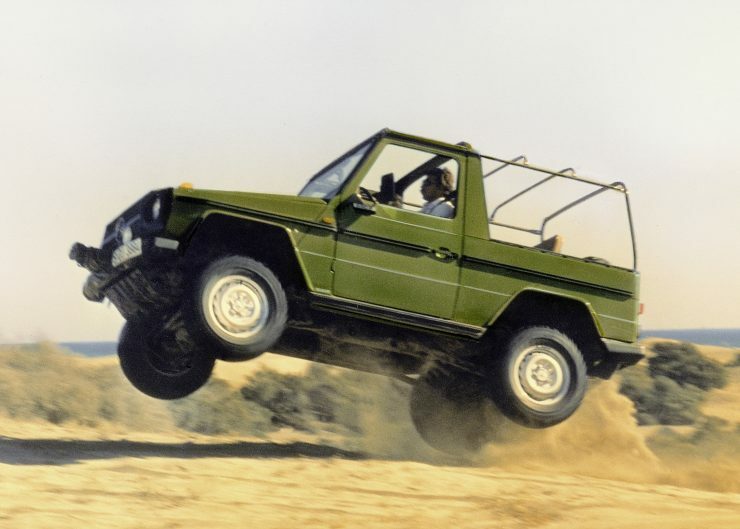 The Series 461 G-Wagen began production in 1992 and provided three wheelbase lengths to choose from. The 461 Series were aimed at “professional” users and people who wanted their G-Wagen for work, expeditions or fishing and hunting trips. The 461 Series vehicles had some interesting options available for them including a “rough terrain package for export overseas countries”. This package included fitting of the spare wheel on the inside of the vehicle for protection against damage or theft, and which also incorporated a fuel filler designed so it could be conveniently used to re-fill from a fuel canister, and a base plate for the jack. This model was also made available with a “grass-fire protection feature” to ensure a hot exhaust pipe did not start a fire in tinder dry grass under the vehicle. In very hot dry climates such as those found in parts of Africa and Australia a bush fire can start quickly and escalate into a catastrophic disaster very rapidly. 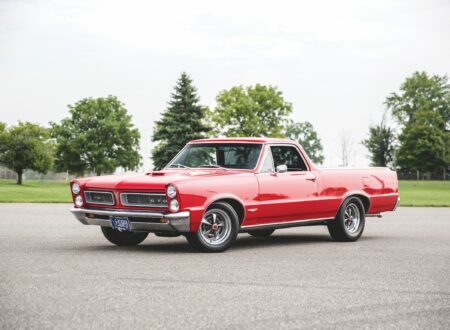 The model options for the 461 Series were the 230GE which was fitted with a gasoline engine producing 122hp, and the 290GD which was fitted with a naturally aspirated diesel engine producing 95hp, both vehicles were fitted with five speed manual transmissions. For military purchasers only a model 250GD was available which was fitted with a 94hp diesel engine. The 230GE ended production in 1996 leaving the 290GD as the only model. The 290GD was replaced by the 290 GD Turbodiesel with a 120hp engine in 1998 and this model continued until 2002. The 463 Series was introduced in 1987 as a more luxury series to appeal to buyers who wanted the durability and four-wheel-drive capability of the G-Wagen but wanted their car to have all the mod-cons they expected from a Mercedes-Benz passenger car. This marks the time when the G-Wagen went from being a utility vehicle to becoming a “cool” and fashionable vehicle in much the same way the humble British Land-Rover did. 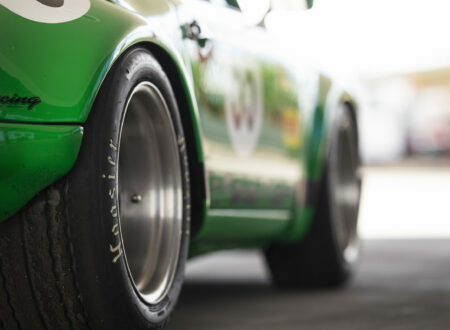 In line with this the 463 Series required quite extensive modification in order to provide the air-bag systems and the cars were also equipped with ABS (Anti-Lock Braking System). The first of the 463 Series was an upgraded version of the 230GE with an emphasis on passenger comfort and safety. 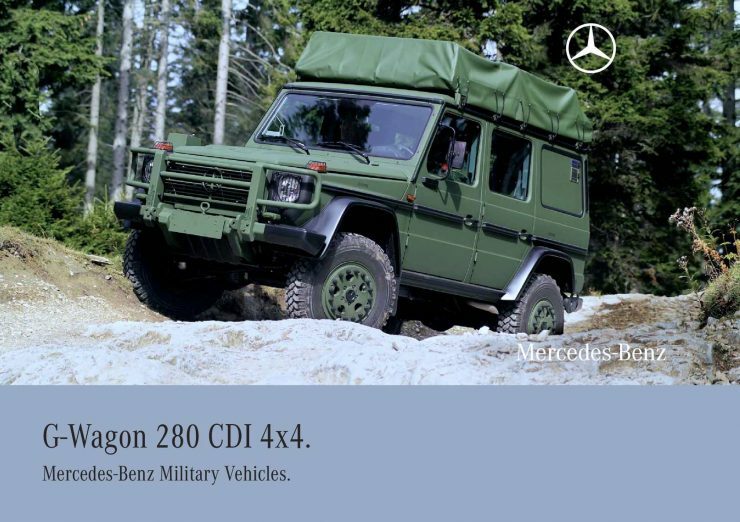 Realizing that the vehicle had entered into a somewhat different market niche production of the G-Wagen was passed to Mercedes-Benz Passenger Car Division in 1989. The G-Wagen was renamed the G-Class and made its debut at the Frankfurt International Motor Show in September of that year. The boxy utilitarian G-Wagen was fitted with a dashboard from the Mercedes 124 Series and the interior was fitted with wood trim to enhance the luxurious effect. The seats were greatly improved and available in a range of colors and materials including leather. The 463 Series did not initially feature permanent four-wheel-drive nor ABS except as optional extras. However the ABS was made standard and so full time four-wheel-drive became necessary. Not only did the 463 Series get permanent four-wheel-drive but it also got three locking differentials with the locks controlled by switches in the center of the dashboard. The luxurious 463 Series was launched in April 1990 and was available in four models; the 230GE equipped with a 126hp gasoline engine, the 300GE fitted with a 177hp gasoline engine, the 250GD with a diesel engine producing 94hp, and the 300GD with a 113hp diesel engine. The two diesel engine models were both replaced in May 1992 by the 136hp 350GD Turbo Diesel which was fitted with a four speed automatic transmission as standard with no manual transmission option. These models would be fitted with such accessories as a stainless spare wheel cover, cruise control and stylish running boards in the first model upgrade. 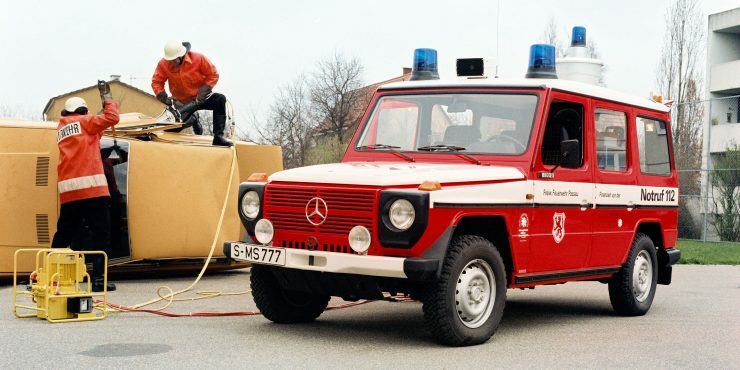 1993 saw the 463 Series G-Class get a V8 engine: this engine was fitted in the 500GE and it produced 241hp. This was very much a luxury model with an automatic transmission and electric sunroof as well as two-tone upholstery and stainless steel running boards. During this period the model designations were brought into line with what had become Mercedes-Benz standard practice. So the 300GE became the G 300, the 350GD Turbo Diesel became the G 300 Turbo Diesel, and the 500GE became the G 500 for example. By 1995 the G-Class was heading into more and more performance with an AMG version of the G 500 getting the usual AMG improvements and the engine power raised to 272hp giving it a top speed of around 190 km/hr. This tended to push the design limits of the car and those who expected the G-Class to handle like an AMG Mercedes-Benz road car were due for some disappointment. With its beam axles and relatively higher center of gravity the G-Class was not going to be able to deliver a like driving experience. So while Land-Rover made the Range Rover, a distinct luxury model, Mercedes stuck with the G-Class and fitted it with progressively bigger engines, improved ventilated disc brakes, ABS, air-bags, cruise control, the Mercedes-Benz multi-function steering wheel, and various other bells and whistles. This model was no longer a simple and dependable mobile fishing and hunting wagon although the simple utilitarian model was still in production, but was more suited to those interested in “glamping”. The turn of the 21st century saw the G-Class get a V8 diesel engine cranking out 250hp. This model was the G 400 and it replaced its Turbo Diesel predecessor. The G 400 had the 21st Century necessities including a phone and automatic climate control. It was arguably a car that would make you wonder how you lived without all its conveniences back in the good old twentieth century. For the G-Class’ twenty-fifth anniversary in 2004 a special model was created. This was the G 55 AMG Kompressor whose V8 engine delivered 476hp and it surely benefited the steering and suspension upgrades it received. It seems that 476hp wasn’t quite enough so in July of 2006 it was upped to 500hp with 516lb/ft (700Nm) of torque. Suffice to say it was a “Climb every mountain, ford every stream” type of car: its standing to 100km/hr time was a crisp 5.5 seconds so you have to hope the headrests were strategically placed to assist the passengers cope with the potential neck strain. 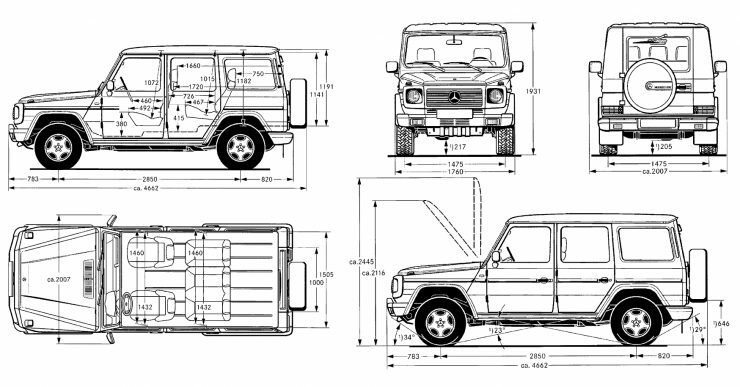 By 2006 there had been over 185,000 G-Wagen/G-Class vehicles made and customer demand was showing no signs of flagging despite the original design’s fast approaching thirtieth birthday. Mercedes decided to keep it in production and brought out the G 320 CDI which boasted a Euro 4 compliant diesel engine and a seven speed 7G-TRONIC automatic transmission. This new model was equipped with new safety features including the ISOFIX child restraint fittings. 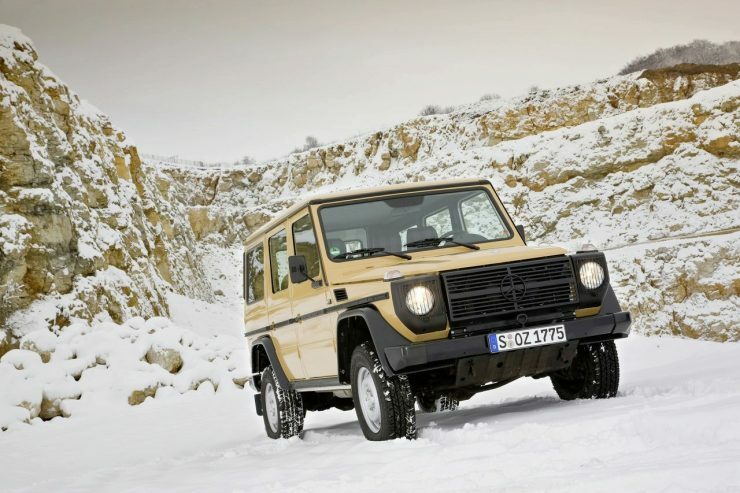 Also new was a scratch resistant paint finish so, despite its luxurious appearance, the ruggedness of the original utilitarian G-Wagen was retained. 2008 saw the G 500 being given a 5.5 liter V8 engine option in the form of the M 273 engine which delivered 388hp and torque of 391lb/ft (530Nm). This model featured a number of added features in the form of electronics support and was fitted with characteristic 18″ alloy wheels, while the power of the AMG G 55 went up just a teensy little bit to 507hp and it was fitted with AMG 19″ alloy wheels. 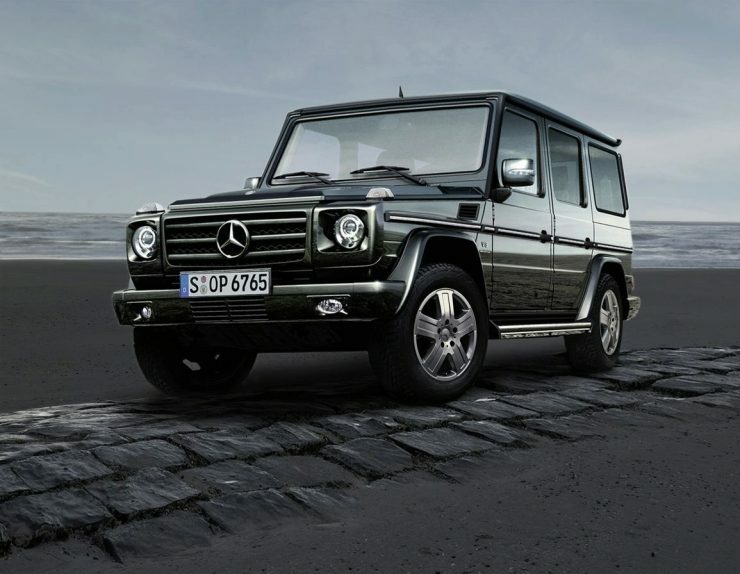 The AMG G 55 was fitted with the ESP® vehicle stability system which would have been a welcome addition. 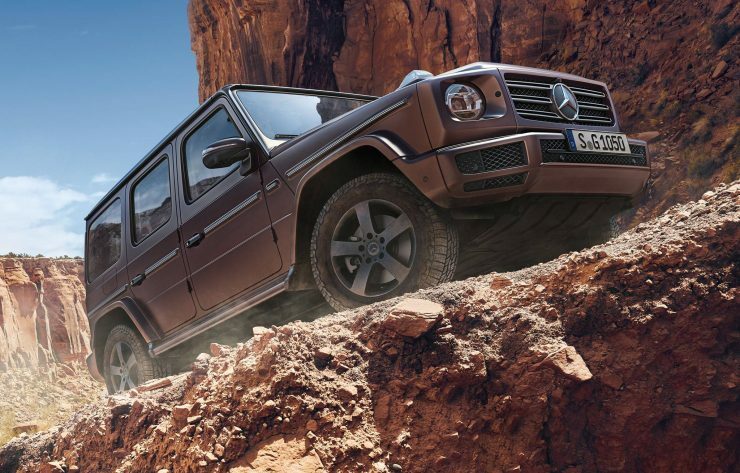 As newer and even more powerful versions of the G-Class appeared a succession of reviewers noted that the car was becoming rather more “lively” than might be preferred. It really wasn’t a “Rambo Lambo” like the Lamborghini LM002 although it seemed to be trying to get there. 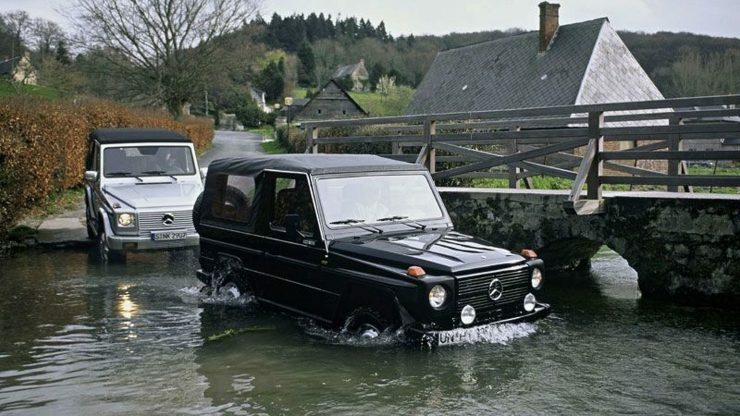 The engine power was no doubt useful for pulling one’s boat or classic car trailer, but the G-Class was not a high performance speed machine although it certainly had the power in some models to be so. If driven by a conservative “Dr. Jekyll” the G-Class was a nice comfortable four-wheel-drive: but driven by a wild eyed “Mr. Hyde” type the experience could be a tad more exciting than might be desired, even by a “Mr. Hyde”. All that being said perhaps the really frightening part of owning a high powered G-Class occurred when the owner who liked to drive fast looked at his/her fuel bill. It is said that when you did a “pedal to the metal” on a high powered G-Class you could actually see the fuel gauge start moving towards empty. It was during this period that the Australian Army ordered and took delivery of their 6×6 version of the G-Class. The Australian Army had begun using this wheel arrangement in some vehicles many years prior to this, having first used modified Land-Rovers. These 6×6 G-Class were delivered in 2009 which was the thirtieth anniversary of G-Wagen/G-Class production. For its thirtieth anniversary Mercedes-Benz made two special models; the G-Class Edition 30 and Edition 30 PUR. The 30 PUR was based on the G 280 CDI and made as a return to the G-Wagen’s original design intention to be a vehicle that would be a rugged and reliable go anywhere utility: the sort of vehicle one wants when our plan is a trip in which we do not follow where the path may lead, but to go where there is no path and leave a trail. The other model, the Edition 30 was based on the G 500 and made to show the performance and luxury advances that had been made in the original vehicle. Not content with already having somewhere north of 500hp shoehorned into the rather agricultural chassis of the G-Class they decided that in order to really push the most devoted “Mr. Hyde” type to their limit and a bit beyond that even more power would be required. 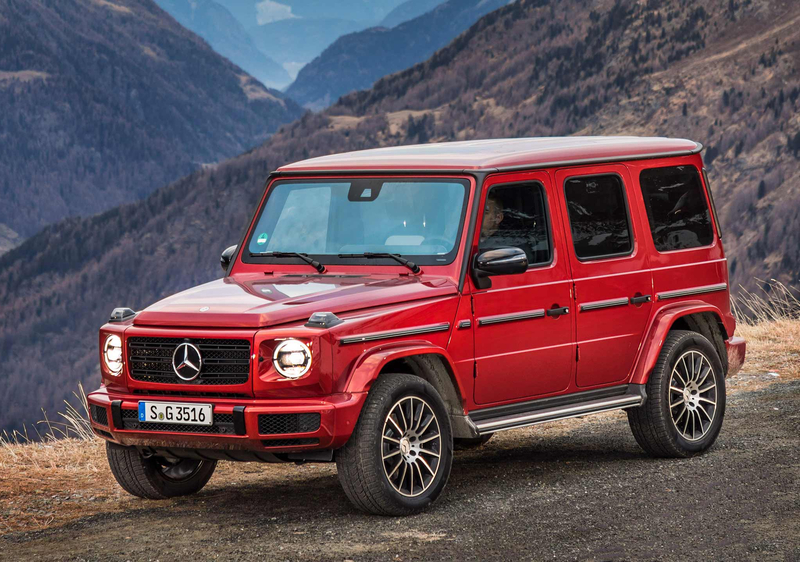 To this end the AMG G63 was created which took an already excessively exciting Mercedes-Benz G 550 with its 5.5 liter V8 and boosted its power to 536hp, which proved to be a bit too tame so they pushed it up a tad more to 563hp. Suffice to say that this was not just a vehicle that would keep you right on the edge of your comfort zone with regular transitions out of it, but it also ensured that you would get to be on first name terms with the staff at your local fuel station. It seems to have kept the customers happy for a little while but, amazingly, it was still not enough. By 2016 AMG created their G65 which was powered by a twin turbocharged 6.0 liter V12 delivering 621hp of fear to the throttle pedal: its probably the four wheeled equivalent of riding a racing Laverda superbike as your daily drive, except that in the G65 you have air-conditioning and a delightful sound system so you can listen to Wagner’s “Flight of the Valkyries” as the speedometer heads beyond 200 km/hr and the fuel gauge descends inexorably towards empty. The standing to 60mph time of this “Mr. Hyde” delight was 5.2 seconds. The brakes of the AMG G65 were power assisted 14.9″ six pot discs at the front and 13″ single pot discs at the back. When it was introduced in the US the AMG G65 sold for USD$217,000 for the base model and if you wanted the AMG Performance Studio Package that would add another twenty thousand dollars. For 2019 Mercedes-Benz seem to have finally arrived at the decision that, just as we encourage children to at least wear helmets when skateboarding so that their mistakes hopefully do not turn into permanent injuries, so also Mercedes decided to make some significant advances in the handling attributes of the new G-Class models. One of the most significant changes has been the complete re-designing of the front suspension to bring fully independent suspension to the G-Class at long last. The new G-Class G 500 offers fuel consumption around 12 liters per 100km, which is around 20 miles to the US gallon and quite respectable for a vehicle of this type. The diesel G 350 D does rather better than that delivering 9.8 liters per 100km/24 miles to the US gallon. The interior is luxurious with all the modern twenty-first century appointments one could ask for. There is also a new model of the AMG G63 which features a 4.0 liter bi-turbo V8 engine which generates 577hp. 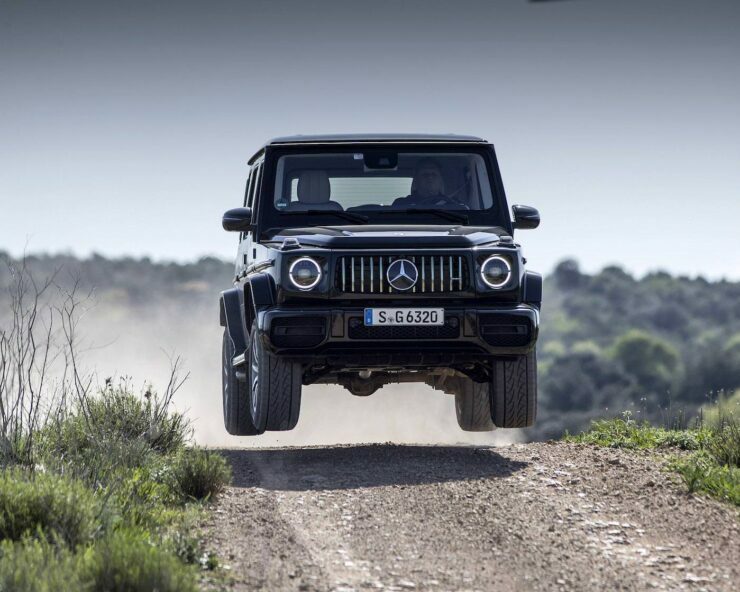 Mercedes-Benz describes the effect of this as “makes every journey feel like a motorized primal scream” so we suspect that the G63 will fully satisfy those for whom being on the edge of their comfort zone is just not quite enough and so they’ll want to take regular journeys into the “chaos” beyond. With its new independent front suspension system and suitably capable brakes such adventures can be made with a reasonable expectation of safety. The Mercedes-Benz G-Wagen (later the G-Class) has been with us now for forty years and shows no signs of departing into the realms of rusting obsolescence anytime soon. It has received accolades and brickbats but it is not just a survivor, it seems to go from strength to strength with no apparent shortage of people willing to open their wallets wide and pour the contents into Mercedes-Benz’s coffers so they can own one. The G-Wagen/G-Class has proved that it is a timeless design and it is entirely believable that they will still be making them in another forty years. This is a car that has acquired for itself a significant dose of the elusive “coolness” factor and that has helped in its longevity. But more than that this is a car that represents solid reliability, its a car that I’d happily adopt for excursions into remote and beautiful places in the trust that, regardless of bells and whistles, it will take you where you may never have expected to go, and bring you safe home again. Picture Credits: Mercedes-Benz, Mecum Auctions.